I have three more swatches to show you today!! I’m on a roll, I tell you! Swatch #1 (tubular cast on and tubular bind off with stockinette in between) – I’m not sure I’m happy with the cast on (or the ribbing!) in this one, so I’m planning on doing it over. 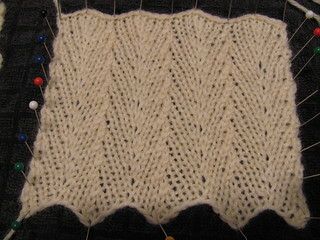 Swatches 2-5 need to have all different cast ons and different bind offs. 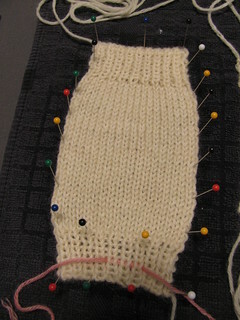 For swatch #2 I did a twisted german cast on and a decrease bind off on this one. I think it looks pretty good! 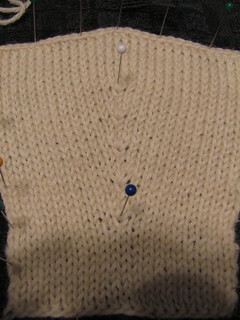 This is swatch #8 – the herringbone stitch swatch. I’m happy with this one as well. 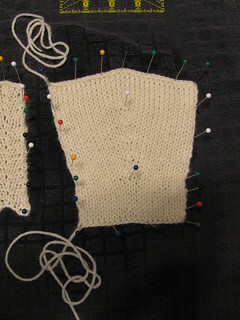 I have swatch #3 knit, but not blocked yet, and swatch #4 is in progress. Anyhow – that’s what I have on the MK front! Let’s hope I keep this pace up, maybe I’ll actually finish level 3 within a year!